Fighting Bob Fest! The team attends Fighting Bob Fest in Baraboo, Wisconsin. We discuss the politics of 2008 and learn about Robert M. La Follette, Sr., one of the greatest Senators in US history. 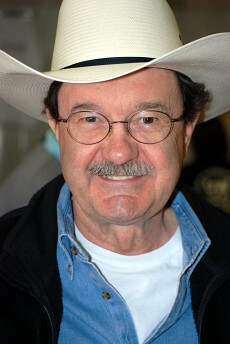 We interview Jim Hightower and also hear from Phil Donahue! Fighting Bob Fest is a big progressive convention. This is a place where people can discuss policy and important issues without the influence of corporate lobbyist. There are speeches and break out sessions. There is also a big hall filled with vendors and advocacy groups. 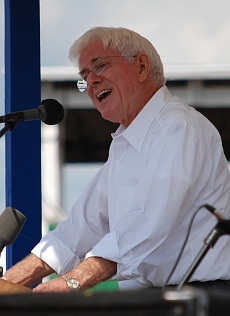 Included in this episode is an excerpt from Phil Donahue's speech. But why is it called Fighting Bob Fest? Because it is named after the famous Wisconsin progressive politician Robert "Fighting Bob" La Follette, Sr. Listen to the show to find out why Robert La Follette is so relevant today. While at Fighting Bob Fest, Tor interviews Jim Hightower about the Democratic and Republican conventions. He also asks about Fighting Bob Fest and Jim Hightower's new book, "Swim Against the Current, Even a Dead Fish Can Go with the Flow". The Tank Team gives a big shout out to Senator Russ Feingold who has continued to fight for progressive values in the spirit of Fighting Bob La Follette.